Beloved fashion designer and reality star Viktor Luna knows what it’s like coming out poz on television. Now he’s taking it a step further. 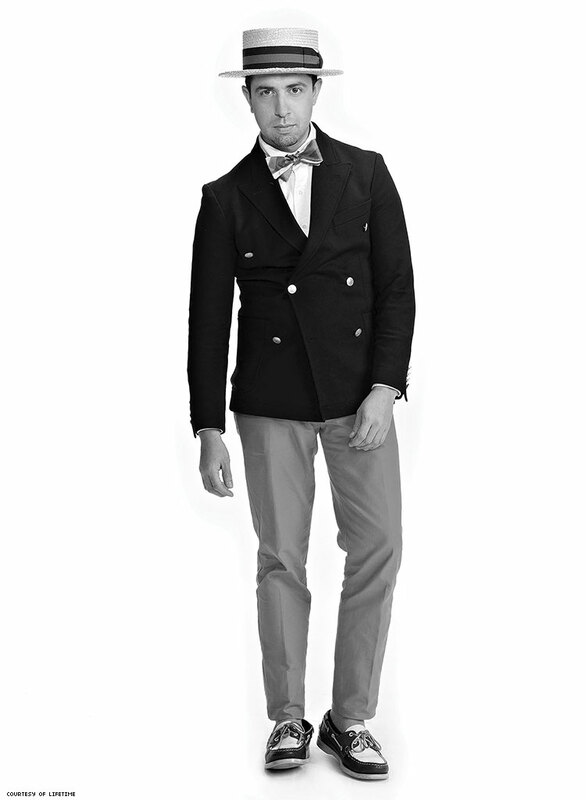 Project Runway season 9 finalist Viktor Luna first appeared on the series in 2009, he was known as the “quiet one.” It’s not entirely surprising that since his time on reality TV, he has consciously moved away from the spotlight — the glare was a bit too harsh for the talented, yet humble, fashion designer. Still, Luna has recently reemerged in the public eye as he debuts his latest line of menswear, and joins the fight to eradicate HIV stigma. Before venturing to the West Coast, Luna spent the previous decade-and-a-half immersed in New York’s fashion scene, but he is not new to Southern California. He grew up in L.A. after his family moved to the U.S. from Guadalajara, Jalisco, Mexico when he was a kid. It seems fitting that the gifted artist, designer, and photographer was born — along with tequila and Mariachi music — in the country’s cultural center. Luna says his mother, who worked as a seamstress in his youth, was an influence on his love of fashion, though his very traditional father was not exactly excited about his son’s choice of career direction. 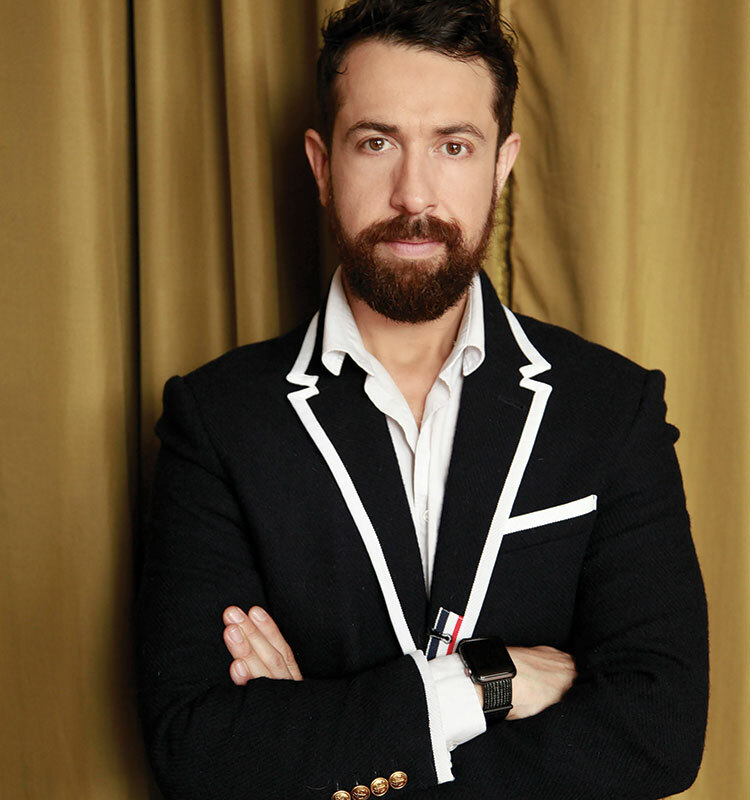 And Luna says it was his love and pursuit of fashion, not fame, which led him to the Project Runway franchise (after getting to the finals in season nine, he returned for the third season of Project Runway All Stars). And it paid off. The show, and his enormous talent, helped him launch a successful career in fashion, altering the elegant and charming 37-year-old’s life. When Luna returned for All Stars in 2014, not only had his talents grown, but so had his ability to open up to others. Throughout the season, he was no longer the quiet one. During filming, he decided to share something he had been keeping from the world for more than seven years: he was HIV-positive. Though he describes this experience as unbelievably freeing, Luna says not all reactions were totally positive. Luna says in the end, the benefits of coming out about his status have far outweighed any negatives. Perhaps the most difficult part of disclosing on the show was the fact that, after the filming of the episode, he only had a couple of months to tell his family before it aired. His mother’s reaction serves as a wonderful example to others of how to react when a loved one shares their status. He adds his mother remained very calm as he told her, and she only wanted to know if he was okay and if he was getting proper treatment. “She didn’t panic,” Luna recalls, which he says was enormously reassuring. This is especially true in light of current facts. Many people still don’t know of the recent scientific consensus that states once you achieve an undetectable viral load, you are unable to transmit the virus to others (dubbed U=U for undetectable equals untransmittable). The consensus has been endorsed by hundreds of world health organizations. Today, a large percentage of people living with HIV who are on regular treatment are able to lower their HIV to undetectable levels. After seeing fellow reality TV alum Ryan Palao (Ongina of RuPaul’s Drag Race) in amfAR’s Epic Voices campaign — an online video series featuring folks from different walks of life who are living and thriving with HIV — Luna decided to jump on board and become another voice helping to eradicate stigma by filming his own video. Luna also credits Palao for his bravery, as one of the few reality stars since The Real World’s Pedro Zamora to disclose their status to the world. Luna encourages people living with HIV to share their status (but stresses only if they are in a situation where they can do so safely) — not just to free themselves from the burden and shame, but also so they can help educate and reduce stigma.